Scroll to the bottom for the gallery. 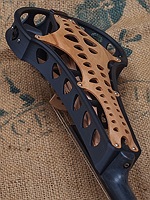 Please see the blog index for a lot more detailed information about the Sycorax violin. The prices above are the full price. The first 5 or so instruments will be available at discounts of 5% to 25% depending on the details of the specification. An acoustic violin player who wants to play in a loud electric band has two options: play an amplified acoustic violin, which risks feedback at high volumes and involves using a pickup (of which there are few that provide a high quality sound); or play an electric violin, most of which feel rigid and unresponsive to play, and many of which have a underlying sound that is like a bee in a bottle, which is then masked and "corrected" with electronics and results in a sound and feel that is nothing like an acoustic violin. 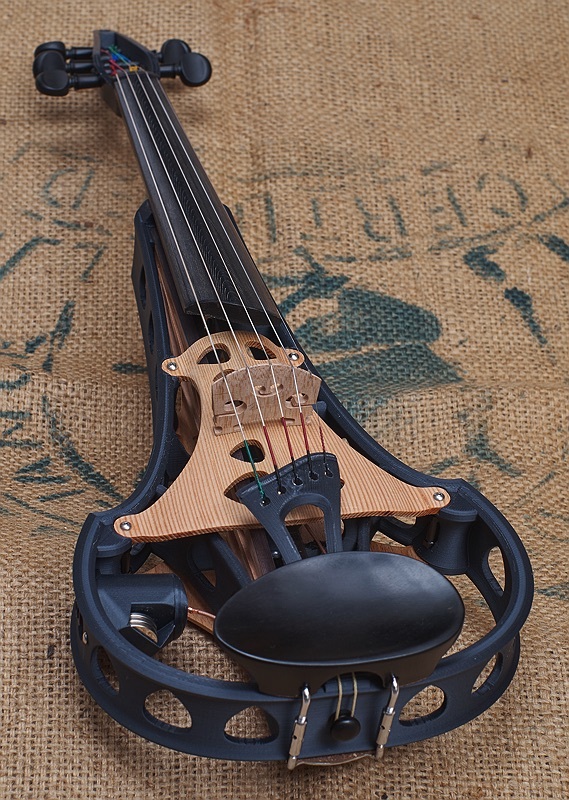 The Violorama electric violin solves the problems presented by both of these options. 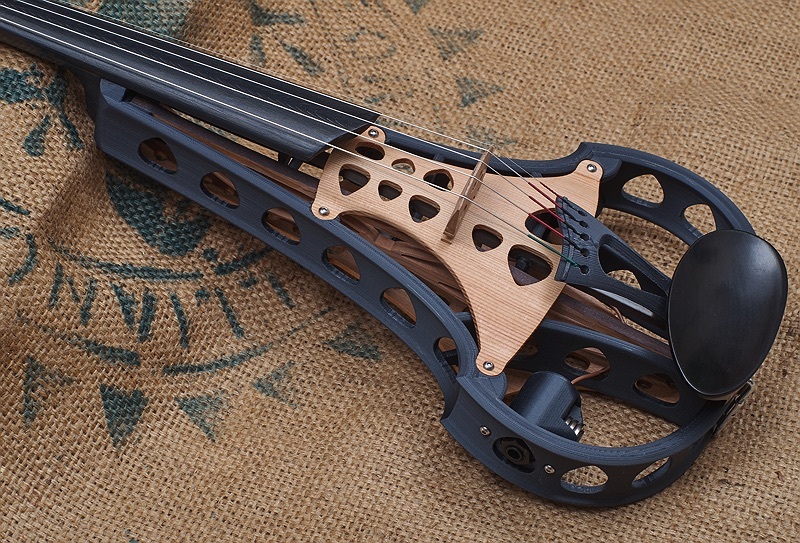 It’s an electric violin with a sound that is closer to an idealised version of what an amplified acoustic violin should sound like than most amplified acoustic violins can actually produce. Most electric violins are made without regard to how violinists are used to their acoustic instruments responding, and do not address the difference in how the instrument feels to play. 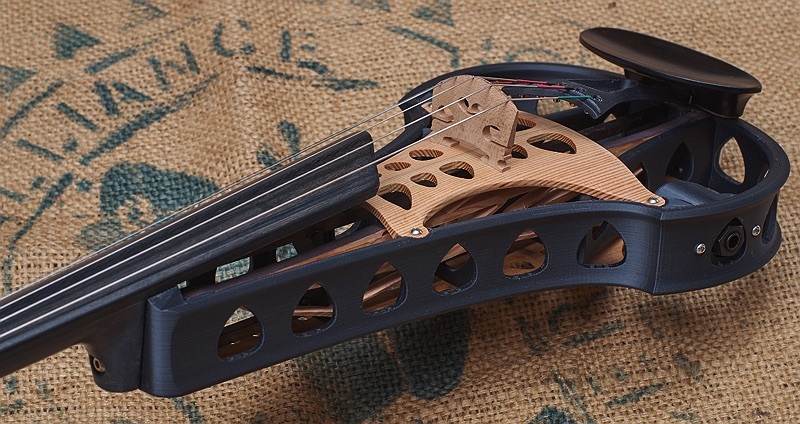 Because of this, many violinists are disappointed by a lack of bow response and expressiveness when they try playing an electric as a replacement for their acoustic instrument. 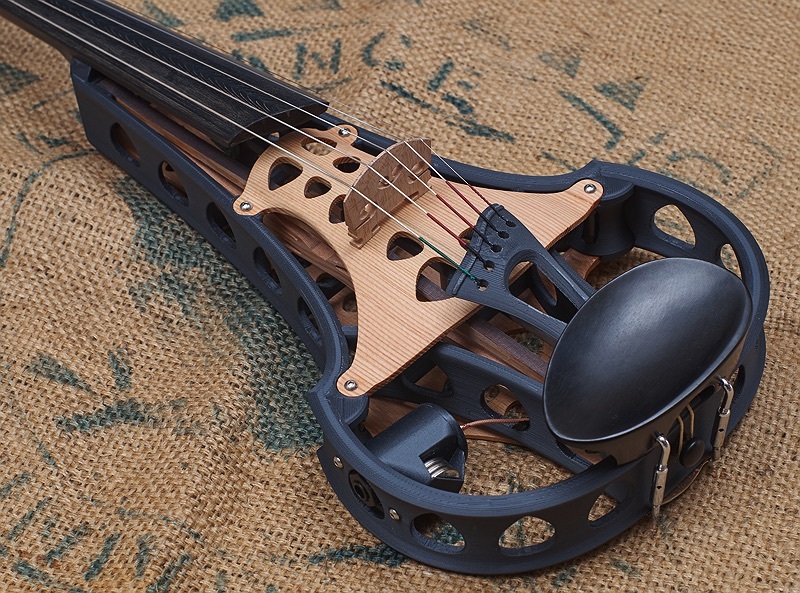 This can put some players off electric violins entirely. 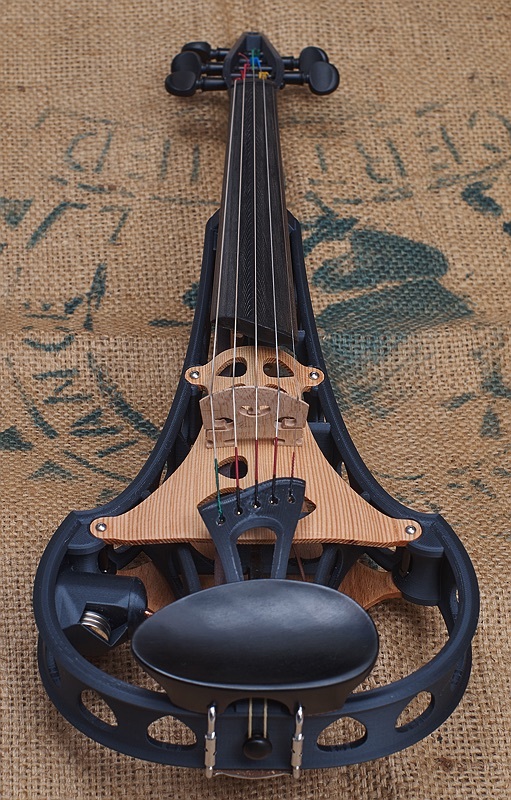 All the parts of the Violorama electric violin have been designed to move in essentially the same way an acoustic violin would move – with the same lever action of soundpost, bridge and bass bar, which in turn affect the movement of the string and bow. 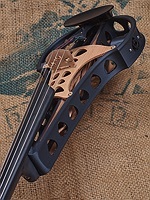 The parts move and flex under the bow with the same action as an acoustic, so playing it feels much closer to playing an acoustic violin. The electric violin is an instrument in its own right, there's no particular reason why it should sound like an acoustic violin. However, I feel that rigid electric violins do not give a very musical result, unlike rigid electric guitars, which can. I have therefore looked to the acoustic for inspiration for my electric design. 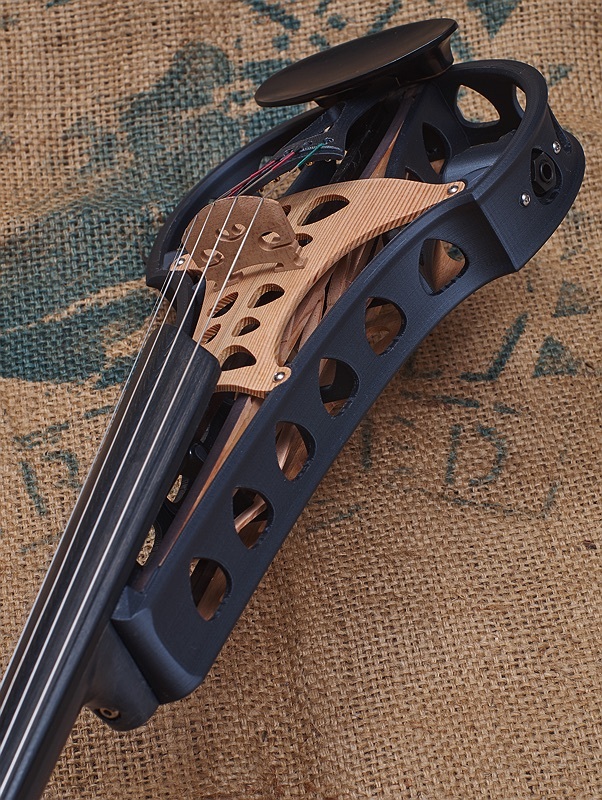 The violorama electric violin provides a pleasant, balanced and natural violin sound that is well suited as a base for adding the effects often associated with electric violin playing. The difference here is that the effects are not being used as a mask for an unpleasant basic tone that has to have effects and EQ added to it for a good sound; the effects are instead an enhancement of something that already sounds good. The physical engineering of the instrument is directly derived from the natural movement of an acoustic violin, but with a few major changes to allow it to decouple from the surrounding air. The acoustic derived movement allows for greater expressiveness and more nuanced tone without the rigid and sluggish feel of other electric violins. The top arch, back arch, bassbar, soundpost, output pod, body, and neck are all separate parts that can be replaced individually. This allows for easy repairs and upgrades and also customisation. The tone can be substantially customised by changing some of these components. Additionally every instrument sounds a little different, just like acoustic violins do, this is mostly due to differences in the top arch and the setup. I talk to each customer about their individual needs before finalising the configuration of their instrument, just as I would for an acoustic instrument. The output pod is a separate piece that can be changed in about 10 minutes. To start with there are two options, a passive RCA jack that can be used with the violorama phantom powered preamp cable, and a battery powered (3x CR2032) pod with a 1/4" jack that can be used with a standard guitar cable (or preferably a lightweight jack cable). Model 1 as pictured here has a wooden top and back arches and the soundpost rests on the back arch. This model therefore has extra resonances and tonal complexity caused by the movement of the back - it sounds closer to an acoustic tone. In fact if you couldn't see it, it could easily be mistaken for an acoustic in a live amplification situation. 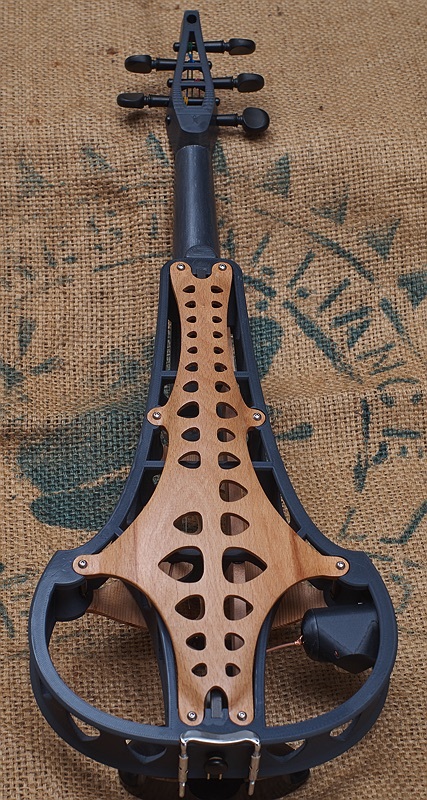 Model 2 has a wooden top and the soundpost rests on a brace built into the body. This model therefore has a simpler more direct tone, and is cheaper to make. The tone and feel are still more like an acoustic than most electric violins since it still has a wooden top, soundpost, and bass bar system the same as model 1. The back arch on model 2 is cosmetic and doesn't affect the tone. Model 2 may suit players who want a simpler, more focused tone to sit well in a complex band with many instruments, or who use lots of effects and want to start from a simpler timbral starting point while still having the same natural feel and basic tone of the Sycorax violin. It’s a sound with a little less complexity than an acoustic violin, but with the basic characteristics of the acoustic sound – which in the context of a full electric band will cut through the mix more clearly than an acoustic would, without losing any of the defining characteristics of a violin sound. It’s like a streamlined version of an acoustic violin’s tone. This is maker / hacker style technology. Artisan plastics or craft robotics if you like. It is not mass produced in a factory, nor is it hand made with simple tools, rather is is constructed using a variety of both high and low tech techniques as required by each part. Each instrument is made individually by me. It is a one person business with no other employees. 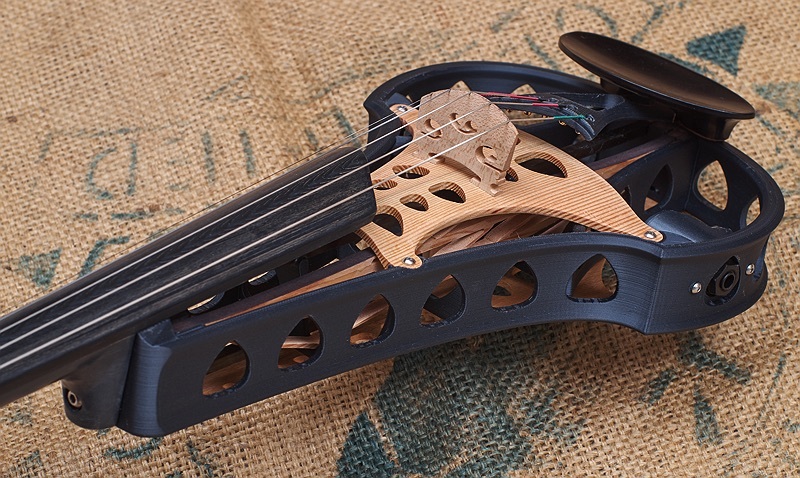 Although some parts are partially produced by robotic machines the final violin is individual and there are many hours of hand work and fine tuning involved in each one. 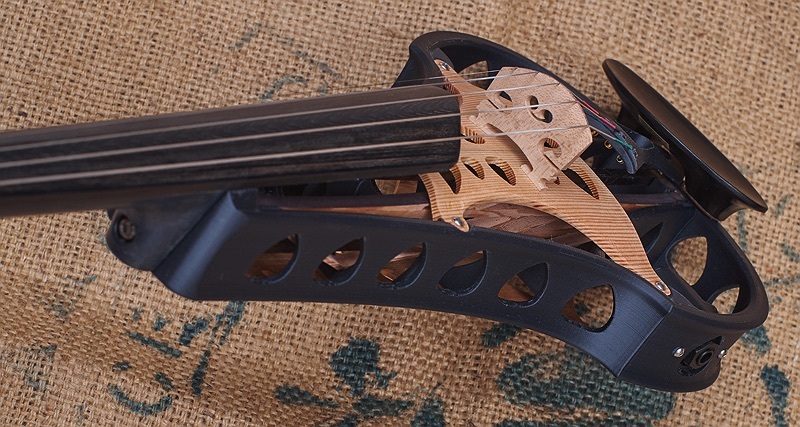 Although I think the violins look pretty cool there is a paradigm shift involved - it isn't possible to make them to the same standard of perfect finish that you might be used to from factory made or expensively hand finished items. So there might be print imperfections or CNC tooling marks visible. 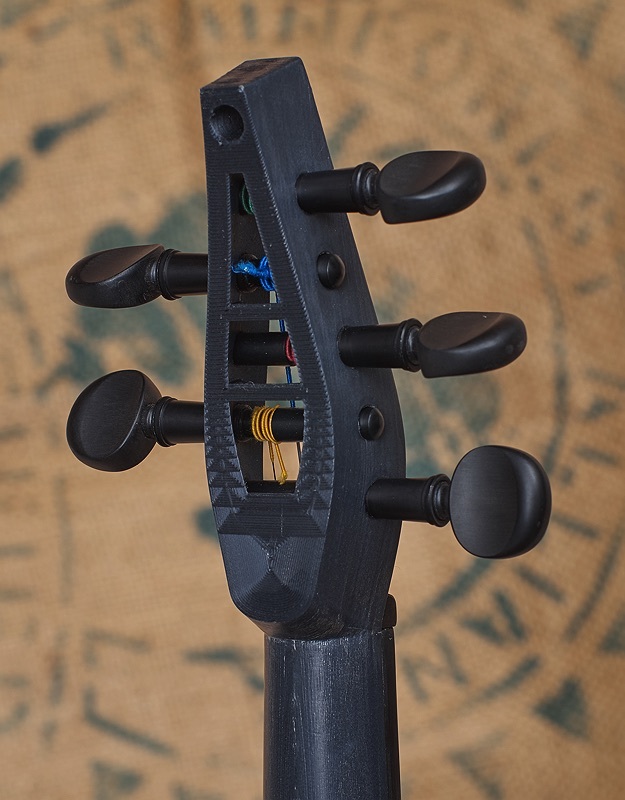 * The neck, body, tailpiece, and output pod are 3D printed from carbon fibre filled plastic PLA or PET. 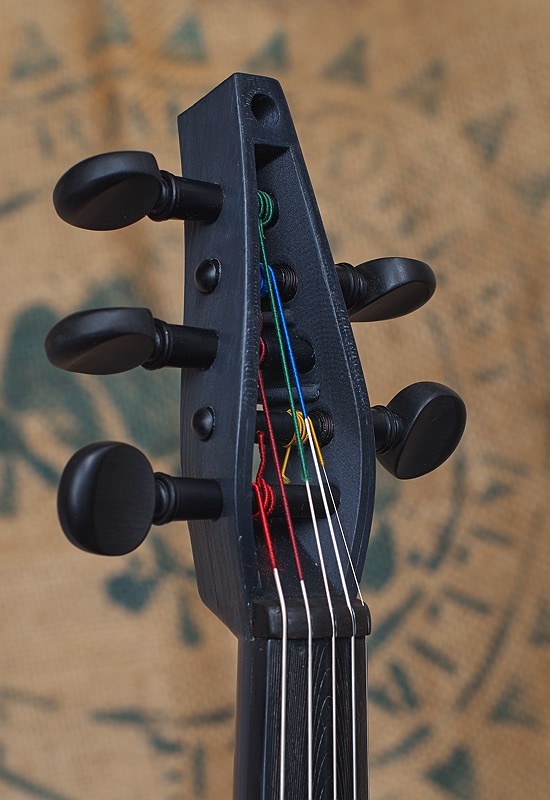 * The fingerboard is printed from plain PLA (less abrasive to strings and fingers). 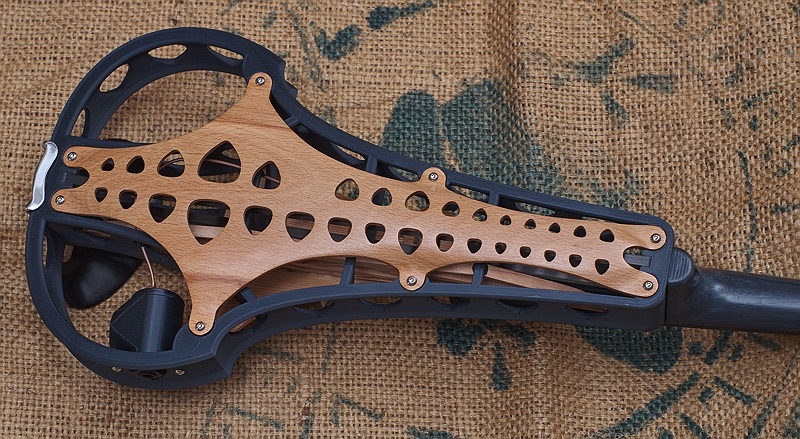 * The neck and body are reinforced with pultruded carbon fiber rods. * The top arch, bass bar, and soundpost are traditional softwood tonewoods such as spruce or douglas fir. Although I have also been experimenting with hardwood tops as shown in the model 2 pictures - with promising results. 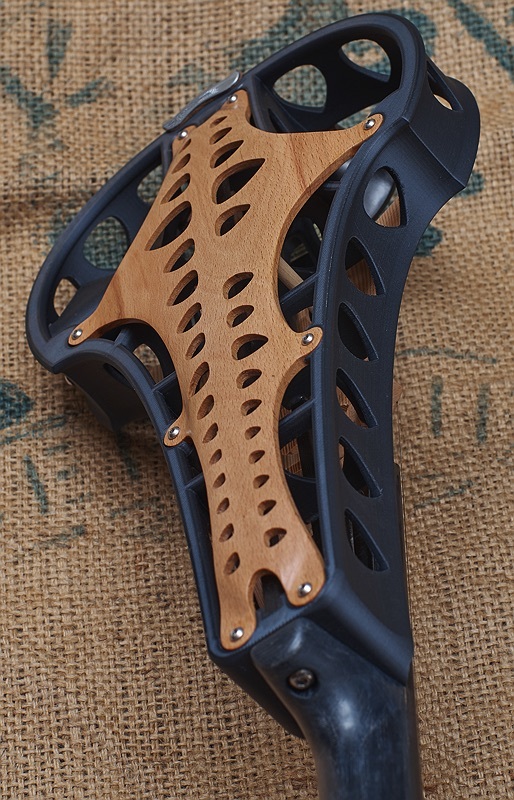 * The full length back arch on Model 1 is carved from a hardwood such as beech or maple. The back arch on model 2 is printed of the same material as the body. * Strings are Warchal Karneol - although others may be used. * Fitted with Knilling Perfection planetary geared pegs. * Pickup is a violorama soundpost pickup very similar to the ones I make for acoustic instruments. 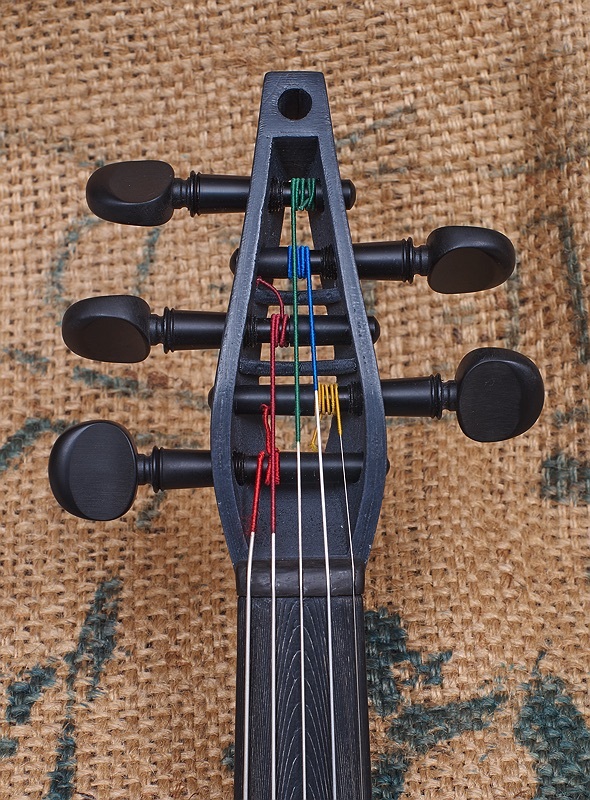 * Weight is about the same as an acoustic 5 string violin - around 550-600g depending on fittings. * Fragility is similar to an acoustic violin and the instrument should be handled with similar care to an acoustic, avoiding heat and impacts. * A case is included in the price, the exact type may vary with availability.